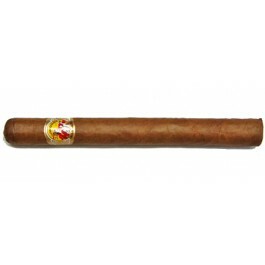 The La Gloria Cubana Tainos, discontinued in 2012, is a large yet light Churchill, 7" (178mm) long, of 47 ring gauge, and comes in a 10 cigars box. One of the most appreciated cigars by regular smokers, keeping with all the classic characteristics of one of the oldest cigar manufacturers. Massive and complex cigar. Produced in small quantities which means that quality is still preserved. 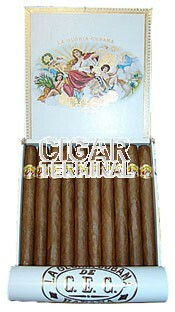 A must try for all amateurs of churchills and connoisseurs.